Chelsea and Manchester United meet in the FA Cup Final at 5.15pm on Saturday 19 May. 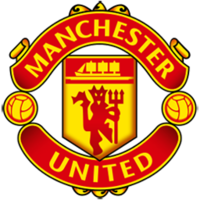 Read the match predictions to find out why Manchester United is the football betting tip to beat Chelsea at Wembley this weekend. Chelsea were beaten finalists last season and the FA Cup is manager Antonio Conte’s last chance to bring something positive to an otherwise disappointing season for the Blues. Manchester United boss Jose Mourinho is satisfied with his team’s second place finish in the Premier League and triumph at Wembley on Saturday will maintain his record of delivering silverware every season he has managed in England. David Luiz and Ethan Ampadu have been ruled out of Chelsea’s FA Cup Final squad with injury. Willy Caballero has featured in goal for every round of the tournament but could make way for Thibaut Courtois on Saturday. Alvaro Morata has scored in the last two rounds of the FA Cup and could be preferred to Olivier Giroud should Conte decide to play one up front. Romelu Lukaku has missed the last three games for Manchester United and is struggling to be ready for the Wembley final. With Anthony Martial recovering from a knock, Marcus Rashford looks the most likely to start alongside Alex Sanchez. Eric Bailly returned to the side for the final league game of season and could line up as one of three at the back on Saturday. Both teams have eliminated three Premier League sides en route to the final. Chelsea defeating Newcastle United, Leicester (after extra time) and Southampton while Manchester United knocked out Huddersfield, Brighton and Tottenham. 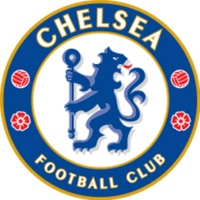 Chelsea ran up a sequence of five successive victories during April, culminating in a 1-0 victory over Liverpool at Stamford Bridge on 6 May. conte’s men have disappointed since, drawing 1-1 at home to Huddersfield before capitulating 3-0 at Newcastle on the final day of the Premier League season. United’s recent record is not particularly impressive either. They beat Manchester City 3-2 at the Etihad in early April and defeated Arsenal 2-1 at Old Trafford later that month. However, they’ve only scored once in the last three matches, losing 1-0 at Brighton and drawing 0-0 at West Ham before Sunday’s 1-0 home victory over Watford. This could be a cagey affair and we predict Manchester United to win with a solitary goal being enough to lift the FA Cup. Chelsea have a good FA Cup record against Manchester United, most recently winning 1-0 on the way to last year’s FA Cup final. The Blues eliminated the Red Devils by the same scoreline in a semi-final replay in 2013 and won their 2007 FA Cup Final 1-0 in after extra time. So far in this season’s FA Cup, Chelsea have won five and drawn one of six matches in the competition. They kept four clean sheets and failed to score once. Manchester United have won all five of their FA Cup matches, keeping four clean sheets and scoring in every game. Compare match odds for Chelsea vs Manchester United. Select from the drop down menu to compare odds for Both Teams To Score, Over/Under and Half Time/Full Time markets. Get the best odds for Chelsea vs Manchester United and improve your betting results. Open a new account with online bookmakers and get free bets. Bet on Chelsea vs Manchester United and receive a free bet or get a free bet on Chelsea vs Manchester United.